Listening: My girls are still asleep and hubby left for work. It is just me and the new computer! Loving: Big Miss is home from college and we are having such a great time. She was here for Christmas, went away with her boyfriend and his fam for New Year's, and is now snuggled in her bed here at home. Thinking: I love teaching almost as much as I love being a mom, but if I had the chance to stay home, I would jump on that chance. I had a taste of it when my babies were babies and I wouldn't change those 7 years for anything in the world. Wanting: We have been bad credit card people for many years. That and my student loans looms over us every single month, so 2013 is the year of less spending and getting rid of the debt that chains us down. Now it's your turn to link up with Farley and all us crazy bloggers! I stayed home with my babies for seven years too! I would never trade those years for anything. I miss it. Love teaching, but love my family more. I am totally with you on getting out of debt too. It is hard, but would be such a relief. I love your blog. So happy to find you through Currently. I am your newest follower. I am glad you found me! I am happy to know that there are other teachers out there who don't feel guilty about wanting to stay home! Debt free is the key for me this year, good luck on your goal. I am your newest follower!! Balance is such a great word!! I too need to learn to balance things in my life. It would make things so much easier!! Best of luck and Happy New Year!!! Thanks for following and yes I am striving for that balance! 4 days in and all is well, haha. So happy that Big Miss is home!! LOVE THAT! :) Enjoy her! And I love your OLW! Thanks Kristin! OLW is what it is all about! Love ya! Just found you through Farley's Currently! Even more so, happy to have found another great first grade teacher to link up with! Looking forward to being your newest follower! I am now your newest follower, too. 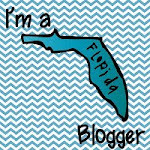 Thanks for linking up with Farley's Currently, I have made so many new blogging buddies through Farley, so kudos to her. I am looking forward to posting some great first grade info this year, so be on the lookout for some common core knowledge!